Thank you for visiting the Indiana INTERNnet Web site (the "Site"). We are committed to protecting your privacy and we voluntarily provide this privacy statement in support of this commitment. Indiana INTERNnet wants to provide a safe, secure, helpful user experience for students, University professionals, and the business community. Therefore, we will use commercially reasonable efforts to ensure that the information you provide and submit to us remains private, and is used only for the purposes as set forth herein. The following discloses our current information gathering and dissemination practices, which may change from time to time, for this Site, which is accessible at the following domain names: IndianaINTERN.net; IndianaINTERNnet.com; and IndianaINTERN.com. We will collect no personal information about you unless you choose to provide personal information to us. Therefore, if you do nothing but browse through the Site or download information from the Site, no personal information will be gathered. However, we will gather and store certain information that does not identify you personally. Such nonpersonal information may include the Internet domain name and the Internet Protocol address from which you access the Site; the type of browser and operating system used to access the Site; the date and time you access the Site; the address of any Web site from which you used a link to access the Site; and the Site pages, areas and services you accessed during your visit. This nonpersonal information helps us determine what services and tools are most beneficial to our visitors, and how we can best serve the student, university and business communities. As such, we may share this non-personal information with our partners, so that they too may tailor their services and sites to better serve our visitors. The Site's intern-matching service cannot be anonymous. Rather, we must have personal contact information to facilitate the matching process. Therefore, if you wish to become a user of the Site's intern-matching services, then you must also choose to manually input contact information such as your name, email address, university, academic major and daytime phone number. This contact information will be used to contact you when necessary to send notifications of matching internship opportunities. The information may also be used to inform you of additional opportunities or services or of Site changes. During your visit, Indiana INTERNnet may also ask you to choose to provide survey information, such as likes or dislikes regarding the Site, types of internship opportunities or jobs that are of interest, and demographic information (like age, region of the state, academic year, school in attendance, or academic interests). This information is requested in an effort to deliver to you the most relevant information and to provide you the best possible internship experience. Demographic and profile data is used to tailor each visitor's experience at our site; to provide content that we think each visitor might be interested in; to display content according to each visitor's preferences; and to create individualized database search criteria to accelerate each visitor's search process. As noted, any contact information (such as email address) and academic school or department, is used to contact the visitor when necessary. After you have registered, we may provide you with a password, which, for your further protection, you may have to provide in order to gain access to the non-public areas of the Site. 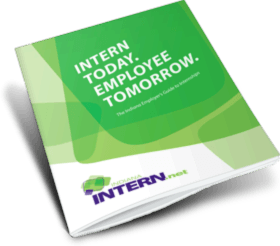 Indiana INTERNnet is an internship link and matching site. As such, you may choose to submit your resume and contact information for inclusion in our member database. By submitting your resume and contact information, you agree to allow authorized employers, recruiters and university personnel to access your resume. Indiana INTERNnet will use commercially reasonable efforts to grant access to this database only to authorized employers, recruiters, hiring managers, headhunters, human resource professionals, and university career professionals and personnel, but Indiana INTERNnet cannot guarantee that unauthorized parties, such as hackers, will not, without our consent, gain access to the database. Due to the nature of internet transactions and the volume of registrants, Indiana INTERNnet is not in the position to guarantee the status and authenticity of every person and entity that registers to participate in the Indiana INTERNnet program. To better assure the privacy and integrity of your personal information and guard against potential fraudulent activities, Indiana INTERNnet strongly advises that you independently verify the status and authenticity of the persons representing themselves as employer representatives. Before communicating any sensitive information to a designated contact person, Indiana INTERNnet recommends that you confirm the authenticity of both the employer and the designated contact person. This may be accomplished by contacting the company through a means separate and independent of that provided by the initial contact person. If you believe you uncover an individual that has misrepresented his status for the purpose of committing a fraud, please let us know and contact the Attorney General’s Consumer Protection Division at 1.800.382.5516 or 317.232.6330. Indiana INTERNnet gives you the option of changing and modifying information previously provided to the Site. To do so, go to IndianaINTERN.net, click on your personal account link and enter your user name and password. From your account, select the appropriate links to change or modify your profile or contact information, or to submit an updated resume. While you may remove or modify your resume from our searchable database at any time, you also acknowledge that authorized parties may have retained a copy of your previously posted resume in their own files or databases. Therefore, you agree that we are not responsible for the retention, use, or privacy of resumes in these instances, nor the use or privacy of resumes by any of such parties while resumes are in the database. You may also choose to participate in the Site's chat rooms, forums, message boards, and/or news groups. Please remember that any information you choose to disclose in these areas becomes public information and you should exercise caution when deciding to disclose your personal information. Please refer to our Terms document for other information pertinent to such forums. The Site is intended for the use of high school-age students, college-age students, university professionals and employers. The Site is not directed to children and it does not specifically collect information from children under the age of thirteen (13); therefore, and because Indiana INTERNnet is a nonprofit organization, the Children's Online Privacy Protection Act (COPPA) does not apply to the Site. However, we choose to protect children within the spirit of COPPA as follows. We understand that children under the age of thirteen may access and choose to provide personal information in the hope of securing an internship or employment opportunity. We encourage such children to seek their parents' or guardians' consent and advice before registering on this, or any other site, and/or before giving out personal information. We also ask the children to provide the contact information of their parent(s) or guardian(s) so that we may notify them that the child is providing personally identifiable information. A parent or guardian may request to see and have deleted any information about their child, and request that we do not collect further information from or about the child. Any such requests will be complied with after we verify the identity of the requesting parent. Finally, we urge parents and teachers to be involved in children's Internet explorations. It is particularly important for parents to guide their children when children are asked to provide personal information on line. We highly recommend that parents view with their children the Federal Trade Commission's Web site at http://www.ftc.gov/bcp/conline/edcams/kidzprivacy/index.html to learn more about how COPPA protects children's privacy online. If Indiana INTERNnet decides to change our privacy commitment for any reason, changes will be posted here so that students, universities and employers will always know what information we gather, how that information might be used, and whether it will be disclosed to anyone. 115 West Washington St., Suite 850 S.
Sign in or create an account for full access. Indiana INTERNnet connects you with thousands of Indiana organizations across the state and currently 1101 internship opportunities. No matter what your career interests are, Indiana INTERNnet makes it easy to search and apply for internships all on one site. Create a FREE student account and complete your profile to get started. Then, use the advanced internship search to find an internship by keyword, job category, location and more! If you don’t see anything that interests you, don’t give up! Continue to check the site because new positions are added frequently. Click an image below to learn the benefits. Internships provide an opportunity for you to apply the things you learn in the classroom to the professional world. Internships allow you to experience working in various job categories and organizations before committing to a career. Future employers look for internships on applicants’ resumes when interviewing for full-time employment. Internships shows potential employers that you have relevant experience. Along with being able to network with co-workers at your internship, you may have the chance to meet other career professionals. These connections could serve as professional references when applying for future careers. Transferrable skills are those you can take from one career to another. Skills like communication, teamwork, organization and problem solving can be developed at internships and then used in your career. Employers may use internships as an extended interview. If they are impressed, they might offer you a full-time position! Schools may require students to complete an internship in order to graduate. Just make sure that your internship meets the requirements. Are you new to the idea of interning? No need to worry — Indiana INTERNnet offers numerous resources to help determine your interests, create your resume, research a company, prepare for a career fair, make the most out of your internship and much more! More than 150,000 students are EARN Indiana* eligible meaning an employer can receive funds in exchange for hiring qualifying students. Be enrolled part time at an eligible Indiana college or university and be an independent student with an Expected Family Contribution (as determined by the FAFSA from the current academic year) less than or equal to $2,000. Still not sure if you qualify? Once you’ve created an Indiana INTERNnet account, click the EARN Indiana logo at the top of your student workspace to apply today. The approval process takes minutes, and you will find out almost immediately if you are eligible. *Indiana INTERNnet facilitates EARN Indiana in partnership with the Indiana Commission for Higher Education.